to represent his residential realty business. 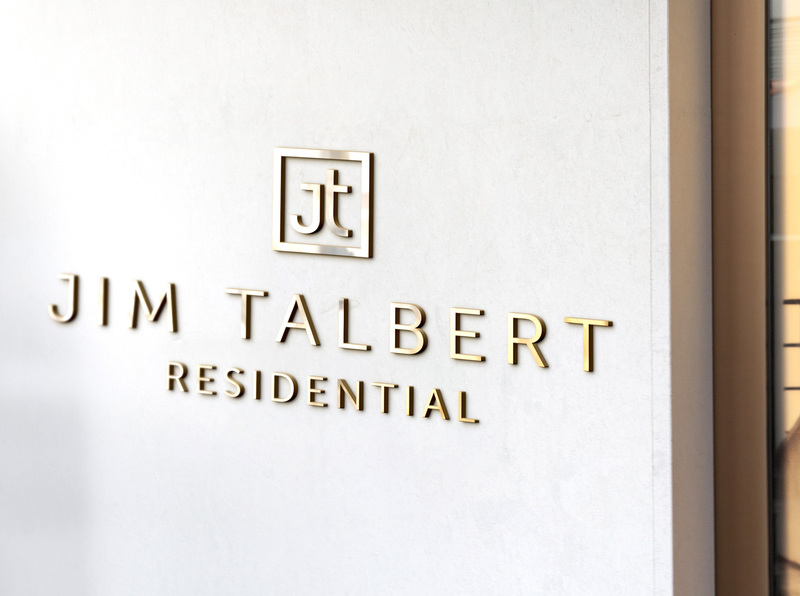 When Jim Talbert asked me to design a logo and branding for him, he said he wanted a street style with a limited palette and subtle grit, but he also wanted his branding to reflect that he’s trustworthy, honest and knowledgeable. That was kind of a tall order since “street” and trustworthy are somewhat contradictions in style. But because his target market is millennials, GenX and GenY, it does make sense to have an edgier look and feel. So Pomp Creative was up for the challenge! 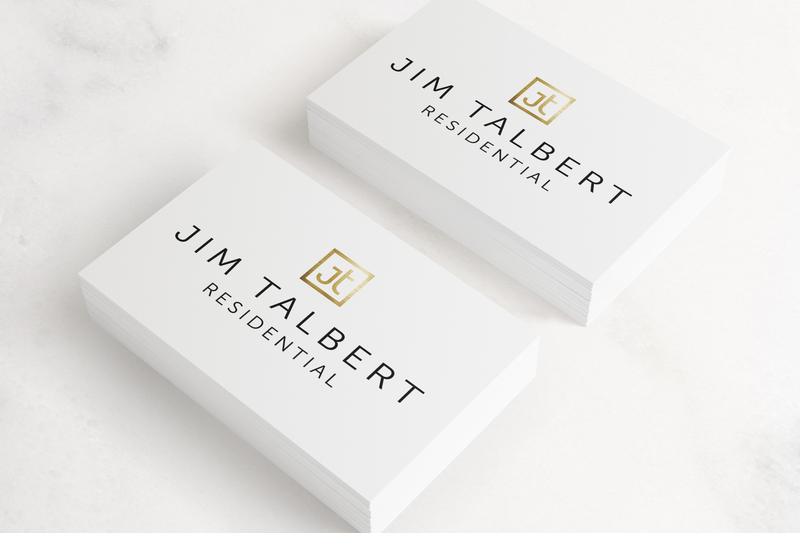 The final product is stunning and bold identity. With a nod to high fashion, the simple mark strikes the delicate balance between a trustworthy focus on a street style with a definite edge. 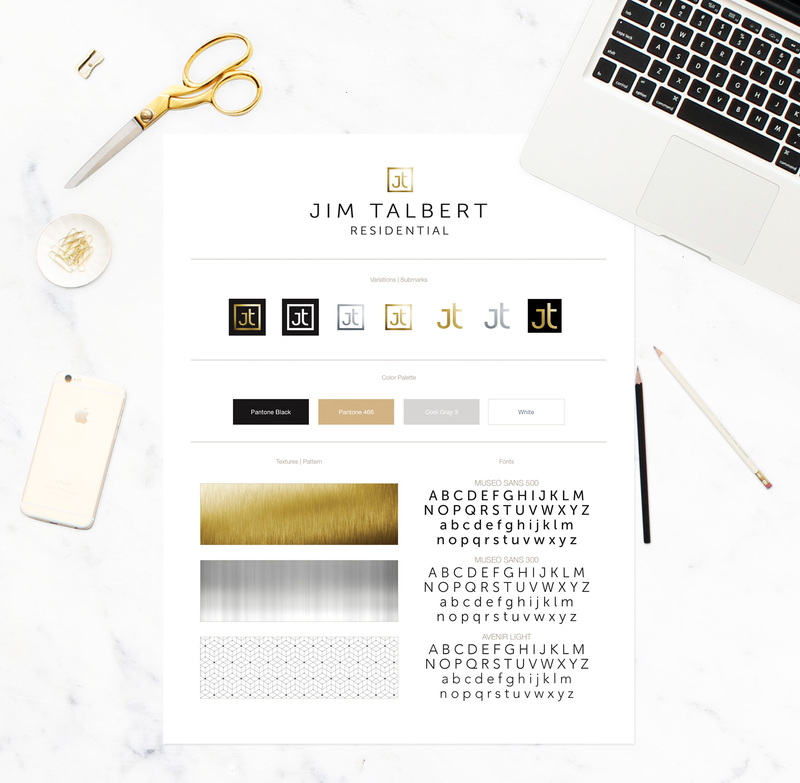 Once the logo was settled on, Pomp Creative worked on rounding out the brand with submarks, textures, patterns, palette and fonts so that he would have lots of options for any situation that may come up.